Google announced they have made a major update to the Google Publisher Toolbar for Chrome. 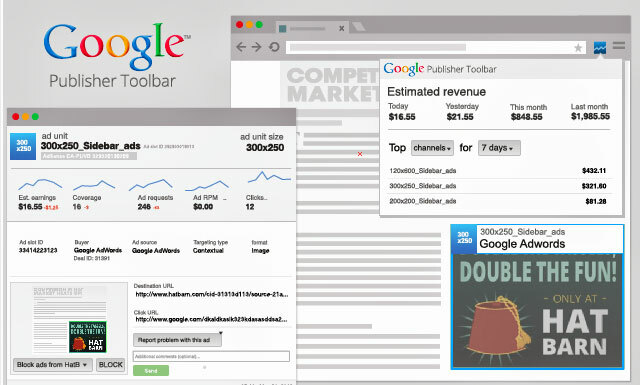 The toolbar works as a Chrome extension and lets you view your DoubleClick for Publishers, AdSense or AdExchange Seller account data right from your browser's toolbar. Pop-up account overview: Giving you quick access to your estimated account earnings summary for today, yesterday, this month and last month as well as information on your top 5 channels or sites by revenue over a variety of date ranges. Feedback box: You can now share your feedback directly with Google through our new feedback box embedded in the user interface. Actually, it does look like they've significantly improved it. It's not as buggy, and doesn't keep making me sign in over and over. But the font is smaller, so there's that. I guess will trade that for better accuracy. The reporting on the ad units is pretty cool. If you look at your site with the toolbar on, each ad unit has a little blue box that lists the size and the URL of the first ad. If you click on the blue box, it expands to tell you the estimated earnings from that ad unit for the past 7 days (you can change the time) the coverage, how many ad requests, the RPM and how many clicks. Looks like it also compares it to a previous time period, so you can see if it's going up or down. You also can see the ad's display URL, destination URL and click URL, and you can block or report a problem with the ad right there. 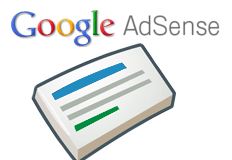 It also tells you whether it's an AdWords ad, or one of the other networks'.